Renting in Chicago: What will $3,500 get you? 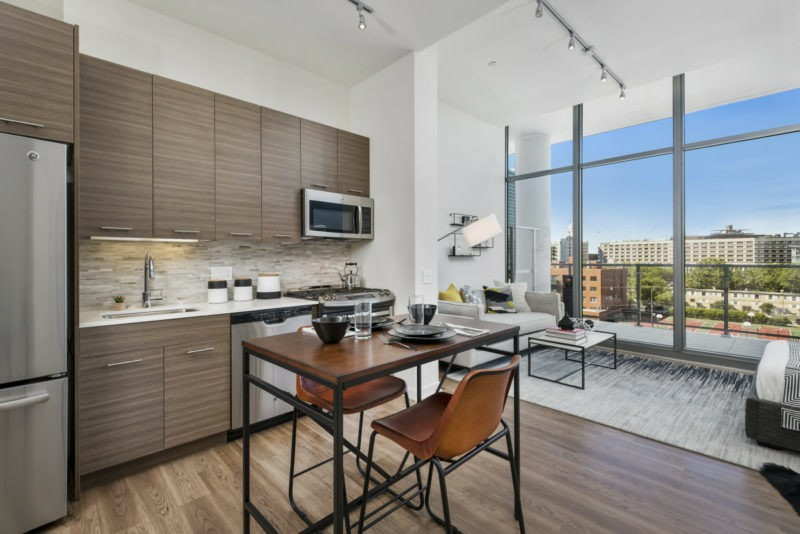 We've rounded up the latest rental offerings via rental site Zumper to get a sense of what to expect when it comes to hunting down housing in Chicago if you're on a budget of $3,500/month. Here's a one-bedroom, one-and-a-half-bathroom apartment located at North Columbus Drive and East South Water Street that's listed at $3,496/month for its 734 square feet of space. Amenities offered in the building include on-site laundry, garage parking, outdoor space, a swimming pool, a fitness center and an elevator. In the furnished unit, there are hardwood floors, a fireplace and a balcony. Cats and dogs are not allowed. Here's an 859-square-foot one-bedroom, one-bathroom condo at 1156 N. Wells St. that's going for $3,430/month. The furnished apartment features both air conditioning and central heating, hardwood flooring, high ceilings, in-unit laundry, a walk-in closet, a fireplace and a balcony. Building amenities include garage parking, outdoor space, a swimming pool, a fitness center and a roof deck. When it comes to pets, both meows and barks are permitted. According to Walk Score, the area around this address is extremely walkable, is quite bikeable and boasts excellent transit options. Then, check out this 1,043-square-foot one-bedroom, one-and-a-half-bathroom apartment that's located at 345 E. Ohio St., #4304, and listed for $3,418/month. Apartment amenities include hardwood flooring, air conditioning and central heating, in-unit laundry and a balcony. When it comes to building amenities, expect garage parking, a swimming pool, a fitness center, a roof deck and concierge service. Cats and dogs are not permitted. According to Walk Score's assessment, this location has excellent walkability, is convenient for biking and boasts excellent transit options.